U.S. researchers have found that one herbal cure, well known in alternative medicine, can protect our skin from cancer and aging. Milk thistle extract, called “silibinin,” kills skin cells mutated by UVA radiation and protects against damage by UVB radiation. Thus, the negative effects of too much sun exposure can be shielded to some extent. When a cell is affected by UV radiation, you either want to repair it or kill it so that it cannot go on to cause cancer. Silibinin does both. One study worked with human skin cells subjected to UVA radiation (95% of the sun’s radiation). The cells were treated with silibinin, which dramatically increased the rate at which the damaged cells died. 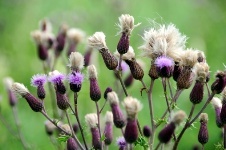 RECOMMENDED: Milk thistle vs. heavy metals in your body. At the same time, it left healthy cells alone. That’s because milk thistle isn’t toxic. The fact that it can target and kill damaged cells means it removes the triggers for skin cancer and photo aging. Another study in January showed that silibinin can protect human skin cells from the less common UVB radiation. In this case, the herb can prevent UV-induced skin cancer by protecting against DNA damage. So with UVA, silibinin kills, and with UVB, it protects. This particular research group has been studying silibinin for two decades. Along the way, they’ve seen it effectively treat cancer, and now they have a complete picture of the mechanisms involved. They continue to test milk thistle for cancer prevention abilities with the aim to begin human trials in the near future. “Silibinin, found in milk thistle, protects against UV-induced skin cancer,” University of Colorado Cancer Center, January 30, 2013.